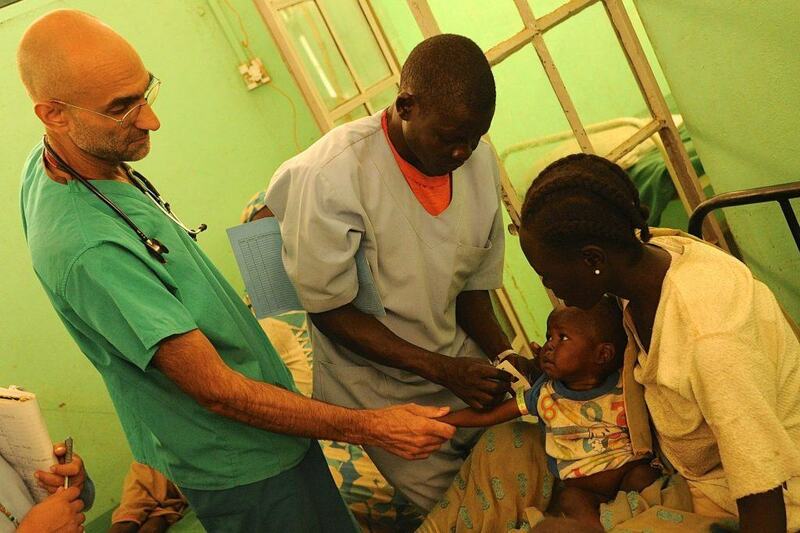 CMMB has supported the work of Dr. Tom Catena in the Nuba Mountains of Sudan since 2008. As a country entangled in decades of war, violence, and instability, the removal of authoritarian President, Omar Hassan al-Bashir, is being celebrated across the country. Despite the celebrations, the future of Sudan remains uncertain. After nearly four months of mass protests against the country’s authoritarian rule, President Omar Hassan al-Bashir has been forcibly removed from power. Thousands of protesters gathered outside his residence chanting and dodging bullets, determined to remain until they saw al-Bashir fall. Reports from today detail news of al-Bashir’s removal, the government’s dissolution, and the constitution’s eradication. Despite al-Bashir’s fall, the young country remains in a fragile state. No one is certain of what tomorrow will bring. But there is hope. We keep the people of Sudan in our prayers as the new political landscape begins to shape. We hope that the end of al-Bashir’s reign of terror, means the beginning of an era of peace and change. 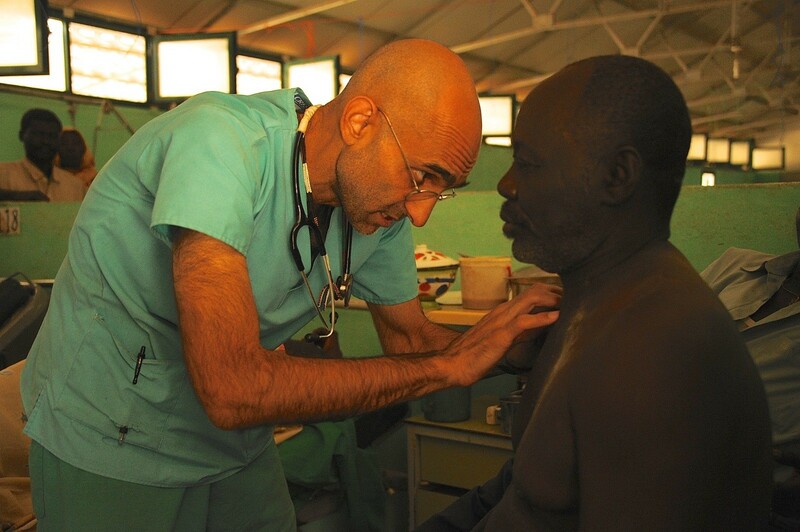 CMMB has supported long-time volunteer, Dr. Tom Catena in in Sudan since 2008. The Mother of Mercy Hospital, which he helped found and has served ever since arriving, is located in the Nuba Mountains of Sudan. It is a beacon of hope for the Nuba people, especially during the decades of instability and violence. During al-Bashir’s 30-year-reign, the region and its people remained a constant target. As a landscape rich in oil reserves, Bashir was relentless in his quest for ownership of it. His tactic for doing so was nothing short of attempts at genocide. 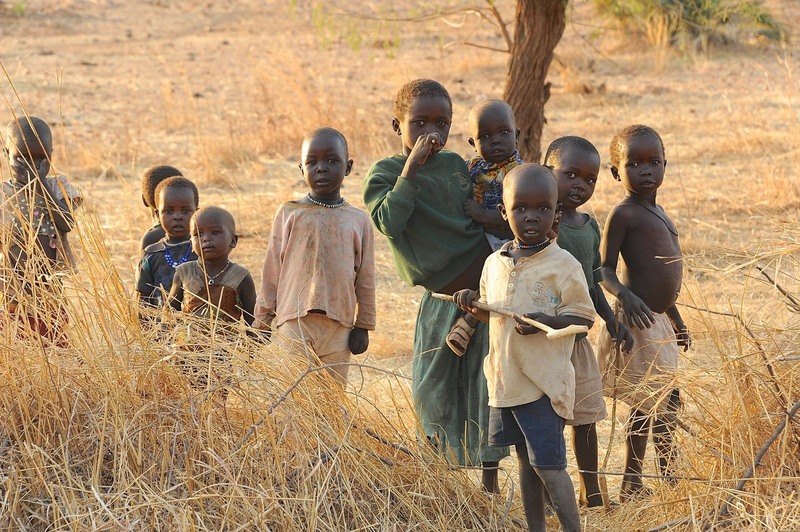 Al-Bashir’s reign and the subsequent war, has resulted in unfathomable suffering for the Nuba people. The civil war officially began on June 6, 2011. Days into the conflict, Nuba began experiencing violence, including air bombardments from government fleets. By June, 16th humanitarian staff working at the hospital were urged to evacuate. The lack of staff was only one of the major challenges exacerbated by the war. The Nuba Mountains is an extremely isolated region. It’s geography makes travel a difficult endeavor. Even prior to the unrest, the transport of resources, like medicines required advanced planning. Dr. Tom, who has become comfortable improvising in the absence of important resources, explained that even with access to roads, it takes about six hours to make it to the hospital during the dry season. During the rainy season the roads virtually disappear from flooding, making it impossible. During the fighting, roads leading in and out of Nuba were purposely blockaded by the Sudanese government – a blatant attempt to suffocate any humanitarian aid in the region. For years bombs were dropped, lives were lost, and still, Dr. Tom remained. Despite the atrocities committed against the Nuba people, they remain strong and hopeful. Thanks to the support of our CMMB family and many partners, Dr. Tom was able to continue delivering care. As bombs dropped, Dr. Tom continued to train local community members to become skilled hospital staff. Today, the Mother of Mercy hospital has 110 nurses and ancillary staff. Twenty of them received official training and ninety of them were trained on the job. We continue to keep the Nuba people, and all of Sudan in our prayers, as they hopefully inch closer to peace. 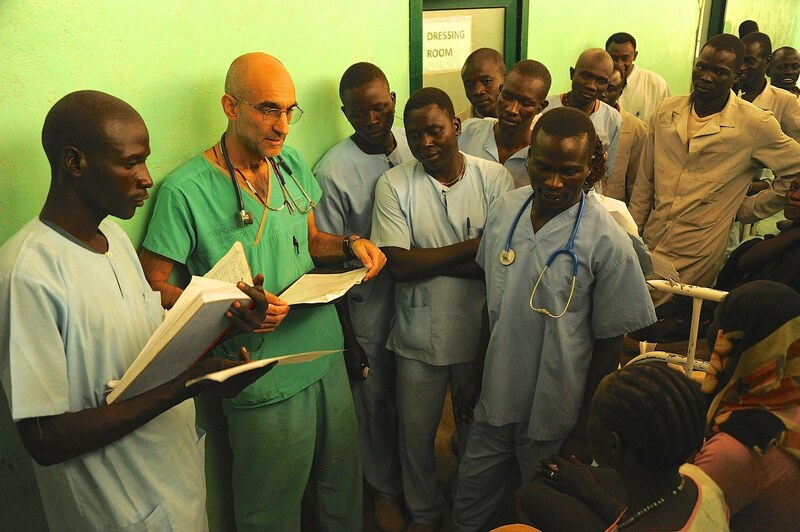 Dr. Tom, we thank you for your unyielding love and service for the people of Nuba. You are an inspiration to the world. The recent fall of government can usher in a change for good. Make a gift. Make a change.